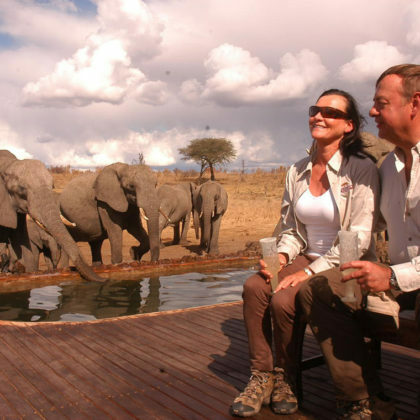 Come and explore some of Zimbabwe’s most beautiful wildlife areas from the abundant wildlife of Hwange National Park to the scenic beauty of the Mana Pools National Park on the lower Zambezi River and the majesty of the Victoria Falls. Upon arrival at the Victoria Falls Airport you will be road transferred to Hwange Main Camp passing through traditional Ndebele villages on your way. 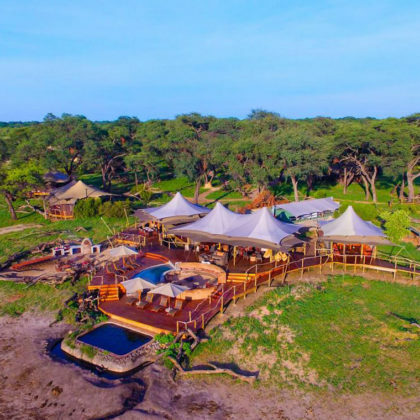 You will be met by your guide at Hwange Main Camp and transferred by game drive to Somalisa Camp, set in the heart of Hwange National Park where you will spend three nights. 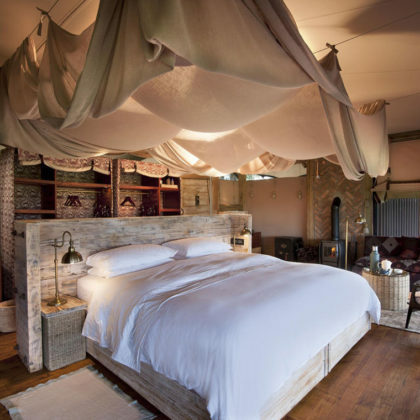 At Somalisa Camp, you will experience the heightened romance of the African Bush in one of the most natural environments in Africa. This is the way Africa was meant to be explored. 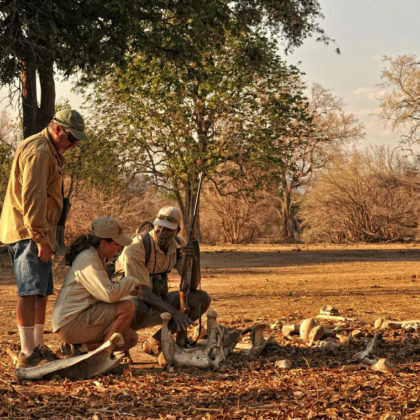 Activities include guided walks lead by qualified and passionate guides who will share their knowledge and love of the bush with you, game drives and spot lighting as well as game viewing from hides. 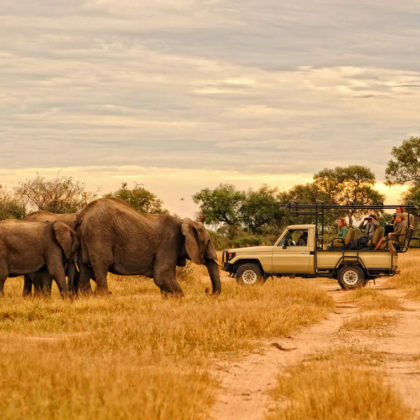 Walking and game drives will allow you the opportunity to observe elephant, kudu and sable antelope, zebra, wildebeest, gemsbok, the rare and endangered roan antelope, buffalo, giraffe, white rhino, lion, leopard, hyena, and many other wildlife species. 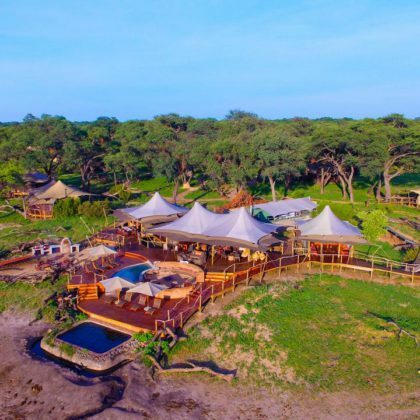 After your last breakfast at Somalisa camp you will go on a game drive to our air strip where you will meet your charter flight to Mana Pools. This flight will take approx 1 hour & 50mins. On arrival you will be met and taken to your tented camp on the Zambezi River. This is where you will begin your three nights on the Zambezi River in Zambezi Expeditions. Come on the adventure of a lifetime for an experience like no other. The camp is set up prior to your arrival and you will conduct activities setting out from the camp each day. 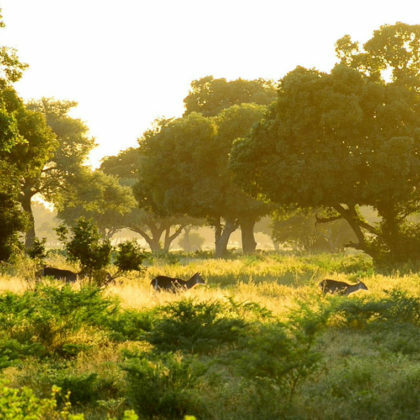 There are plenty of opportunities to walk the famous floodplain of the Zambezi valley, exploring the Mana Pools wilderness areas well off the beaten track. Wildlife to be seen includes hippos, crocodiles, lions, wild dogs, leopard, hyenas, elephant, buffalo, waterbuck and many other antelope. Canoeing is an optional activity which is based on your abilities and will probably see you doing about 2 – 3 hours of light paddling. 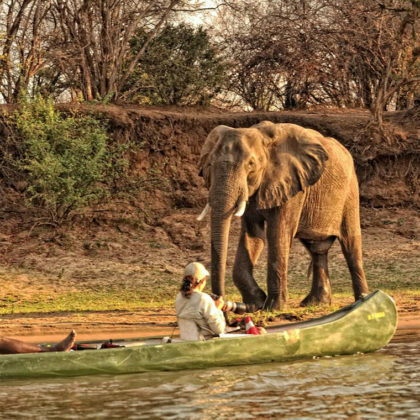 The whole trip will be along the shoreline in Zimbabwe’s Mana Pools National Park, where you’ll enjoy viewing of wildlife from a totally different perspective. After your last morning activity at Zambezi Expeditions you will go on a game drive in the National Park to Kanga Camp. Here you will stay for the last two nights of your safari in Mana Pools, exploring the inland river beds, pans and open plains of the National Park by game drive and guided walks with you armed professional guide. There is the choice of taking game drives in open-topped four-wheel drive vehicles or walking with professional guides. The opportunity to leave one’s vehicle and track game on foot is an experience rare in the national parks of Africa and in Mana Pools in particular this provides the visitor with the chance to track game in safety with an experienced professional guide. 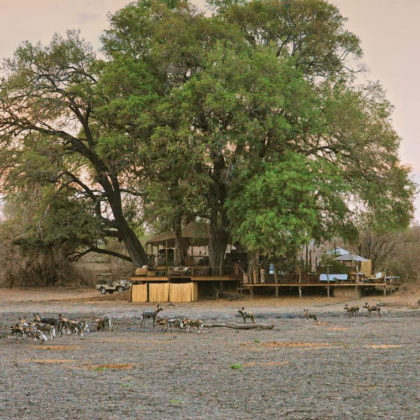 Game abounds on the flood plains and in the Mopane woodlands of Mana Pools. Kanga Pan particularly attracts great game in big concentrations as it is the only water found in the floodplain above the river. The predators, including lion, wild dog and leopard are often sighted and large concentrations of buffalo can be found in the Mopane woodland and open plains studded with Ilala Palms. 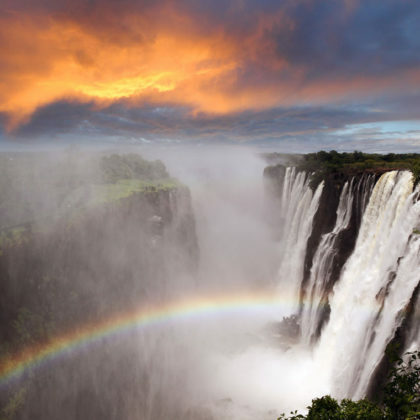 After breakfast at Kanga you will be taken on a charter to Victoria Falls where you will spend your last night at Victoria Falls Safari Lodge before catching your onward flights. The property is set high on a plateau overlooking the Zambezi National Park, and a mere 3km from the Victoria Falls. The views from the lodge are spectacular and a great variety of wildlife can be spotted at and around the nearby waterhole.